Cooper Tire & Rubber Company Europe is moving forward with plans to cease light vehicle tire production at its Melksham, UK, facility. The collective consultation process with employee representatives at the facility, which began in October 2018, has concluded and it is expected that light vehicle tire production will be phased out over a period of approximately 10 months. An estimated 300 people are to be made redundant. These individuals will receive appropriate notice, enhanced separation pay and continued career services. 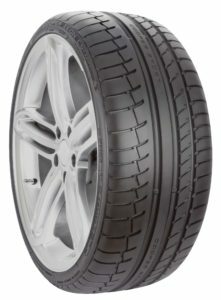 Cooper Tire Europe will obtain light vehicle tires from other sites within Cooper’s global production network to meet customer needs. Approximately 400 positions will be kept at Melksham to support functions that will continue there, including motorsport and motorcycle tire production, the materials business, the Cooper Tire Europe headquarters, sales and marketing, and the European technical center. “We are doing all possible to assist impacted employees as we take this necessary step to enhance Cooper Tire Europe’s competitiveness, enable our growth plans and secure a sustainable long-term future for our business,” said Jaap van Wessum, general manager of Cooper Tire Europe.